Whether capitalism or socialism is the better system for dramatically reducing poverty was a well-settled question by the mid-1980s. As I wrote in The Spirit of Democratic Capitalism (1982), the most underreported fact of the twentieth century was the death of socialism. It was dead, all right, but that underreported death would take a little more time to become overpoweringly evident to all. The global turn toward capitalism began not long after, in 1989, and within twenty-five years some 2 billion people had begun moving from communism and socialism toward capitalism, and thence out of poverty and into steadily advancing standards of living. These numbers were most notable in China, India, and the former Soviet Union and its captive nations. By 2008, the world’s population had risen to roughly 7 billion, most living longer than ever before, through the blessing of sophisticated new medicines pioneered in advanced capitalist countries. Today there are still about a billion more persons who need to be raised up out of poverty. This project is the number-one moral priority of our time. Adam Smith called his book An Inquiry into the Nature and Causes of the Wealth of Nations (1776) – nations, not individuals. The task laid out is a social mission, not an individualist one, and it will not be completed until all nations and all persons are included within the upward sweep of the inventive economy. 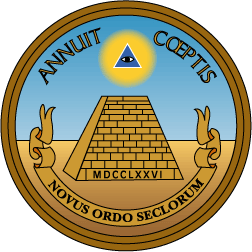 I started to write about democratic capitalism in the 1970s in an effort to explain to my overseas friends (and to myself) just what the new order of “the free society” is (i.e., What is this novus ordo seclorum?). One could not learn this simply by reading political philosophers and political scientists who don’t write much about economics or culture. Nor could it be learned by reading only economists who wrote not nearly enough about the polity and the culture: the presence (or absence) of the rule of law, natural rights, and a culture of creativity. Nor did literary figures and humanists explore the new model of society in which it was their privilege to dwell (a society with heretofore “no model on the face of the globe,” as James Madison put it in Federalist No. 14). Therefore, a lot of work remained to be done to put into words the nature of the tripartite system of a free society: a culture, a polity, an economy – all three in a distinctive framework of checks and balances, obligated to respect the natural rights of every man and woman, as well as the common good. Here the American founders stressed three highly useful terms of not quite identical meanings: the public interest, the public good, and the general welfare. They also recognized, with sharp originality, the debilitating daily consequences of human sin (often overlooked by utopians) desperately in need of constant, vigilant correction. The underlying anthropology of the enduring free society is that there is enough sin in humans to put the survival of liberty in doubt, but also enough virtue to give a regime of liberty a chance, albeit a precarious chance. For decades it might be necessary barely to muddle through. We must not be utopian about the degree of virtue in humans. A society composed of a threefold system of liberties lives always in danger of suicide, always in danger of losing its foundation in the moral virtues of its people. The free society in each of its three systems must be constantly reinvigorated by a sufficient number of virtuous citizens. And its three systems must remain in healthy balance with one another. These are not easy tasks. The survival of free regimes in this world is never guaranteed.